Social media marketing is about creating content on the various social channels to garner attention from current and potential customers. Clients have different goals with their social media interactions and posts, including branding, being an industry leader, just having a basic presence, creating more followers and influence, and increasing sales. 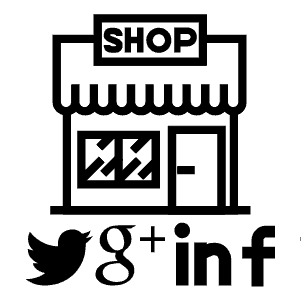 Whatever your company’s goals are, Highstreet Advertising can help implement, create, or supplement your social media presence. On a very basic level, we help many clients post content on their Facebook Business Page (or other social media page) so that when a potential customer goes there they don’t find empty space like a barren field or an empty warehouse. Nothing tells a story worse than seeing that a post hasn’t been made on the Facebook page for over two years. These potential customers wonder if they will have the same experience working with you. Will my customer service lack communication and attention to detail? A more complex social media plan includes posting original content provided by our clients and also supplemental posts to fill in the gaps when original posts aren’t possible. These original posts could be about industry trends, industry regulations, current projects in the field, repurposing of blog posts or newsletters, or just basic customer outreach. Supplemental posts could include memes about industry specific days, national holidays, special interest items, or other thought provoking ideas. A complex plan is well-thought out and scheduled in advance so that it stays on track, can be reviewed and analyzed to make sure it meets the client’s marketing goals. In dealing with multiple marketing companies over the last decade Highstreet has really stood out above the rest. They communicate well about what you are getting for what you pay for, what they need, and what recommendations would be most effective for your goals. They work with you on options for marketing scenarios giving you all the options you could ask for while working within your budget decisions. Their level of efficiency and transparency are a definite value within that industry. They are both personable and professional, a pleasure to work with all around. The number of social media posts depends on what your organization goals are. Do you have an active audience or are you just posting to show some activity to the page when potential customers go there? With these goals in mind, Highstreet had help you determine the correct number of posts that you are comfortable with. This number could range from 2-3 posts per week to several posts a day. Which social medium should my business focus on? Each medium has its own strengths, advantages, and audiences. LinkedIn makes sense when your business is marketing to other businesses. Facebook is great for a business to consumer sales. Instagram stories may make sense if your target audience is millennials. Sometimes a social media mix makes the most sense. Highstreet advertising can help you determine your correct target audience and the appropriate medium to reach them. Once again, the answer to this question depends on your social media goals and your audience. Sometimes memes celebrating a national day makes sense, other times repurposing a blog post about a specific topic helps your goals, or posting about a situation in the field can tell the appropriate story. Should I pay to boost posts? Sometimes paid posts make a lot of sense. We recommend paying when you have an exceptional story to tell. This could be a great insight that you want to get the word out about. Or your company may have won an award and you want to shout it from the rooftops. An employee of the month is a great post to boost that will bill moral and tell the story about a great company with excellent employees. What are some common social media mistakes that should be avoided? Stealing posts or content from the competition and posting it as your own is a bad idea. Posting memes or articles that don’t match your branding or style guide can be extremely counterproductive to the brand that you’ve work on building. Posting things that don’t match the voice that your audience is used to reading can come across as sporadic, scattered, and irregular.